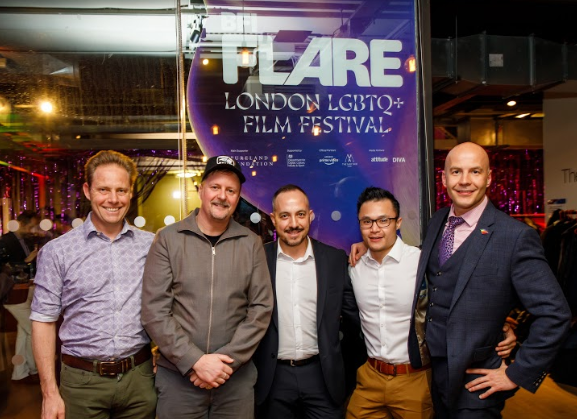 Last week The London Interbank LGBT Forum proudly sponsored a film at the BFI Flare LGBTQ+ Film Festival alongside Accenture, Bank of America Merrill Lynch, CME Group, Deloitte, IG, Macquarie, Refinitiv, Societe Generale and State Street. This is a partnership we’ve had for over a decade and we’re excited to be able to support this fantastic event. 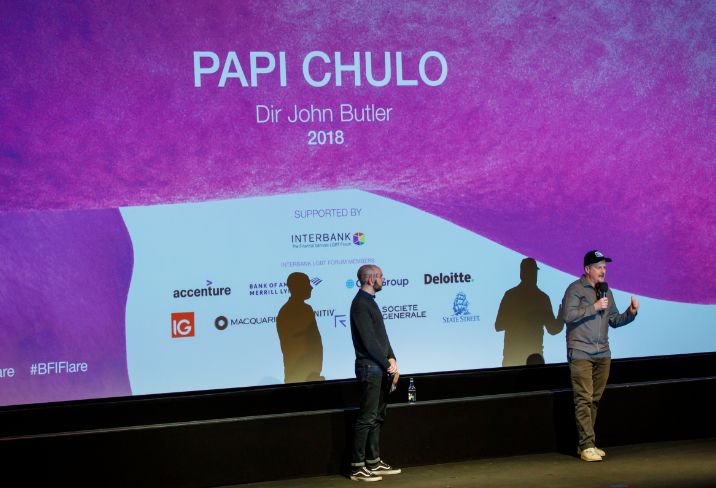 The film this year was Papi Chulo (https://www.imdb.com/title/tt8228538); written and directed by John Butler (he of Handsome Devil fame). It starred Matt Bomer and Alejandro Patino as the leading characters. Matt, who played Sean, is a gay man who is going through a very emotional time after losing his partner. Alejandro, who played Ernesto, is a straight migrant worker who is hired to paint the decking in Sean’s house. A fantastic movie about Sean’s need for someone to care about him, and the tolerance and kindness Ernesto shows him back. Very funny and touching, but also deep and emotional at times that really follows the relationship between the two men. 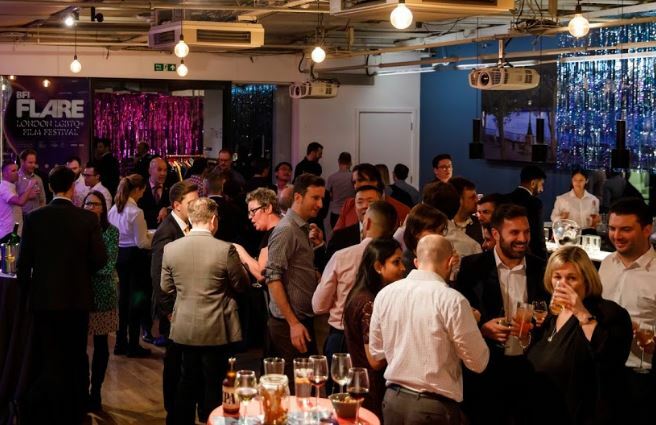 Following the film the BFI put on a great reception, attended by Interbank firms and the director, John Butler. John was on hand to answer deep and meaningful, and perhaps some slightly less deep and meaningful questions from all of us and did so with great enthusiasm and openness.